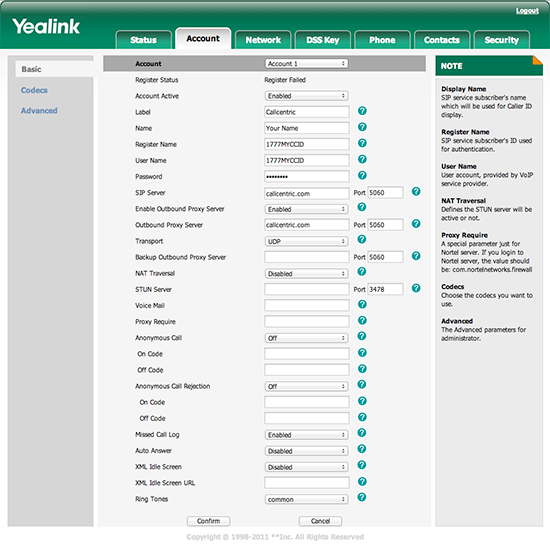 Yealink has emerged as one of the up and coming providers of affordable, high-quality VoIP communications equipment for the home and office. Their new product lineup features easy to use/elegant VoIP Hardware solutions at an affordable price. The T32G IP Phone has Dual-Port Gigabit Ethernet Connections, PoE Support, a crisp full-color screen, and much more. Overall, the T32G IP Phone is an excellent solution for business and home-office users. 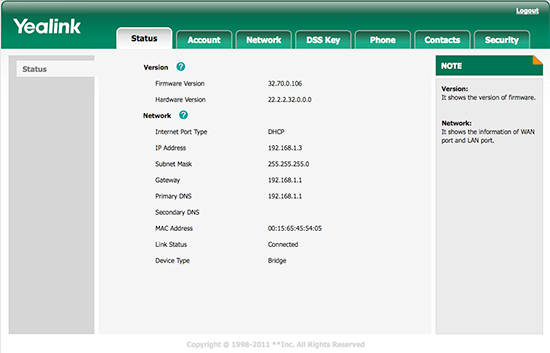 This guide is based on the Yealink T32G hardware version: 22.2.2.32.0.0.0 running firmware version: 32.70.0.106. If you are running a different revision some menus and settings may be different. These instructions are also based on using the T32G in its factory default configuration, which obtains a dynamic IP address automatically from your router using DHCP. For information on configuring your T32G with a static IP address please refer to the T32G user manual. For the purpose of this guide we will use the web interface to add an account. Once you're done save your settings by clicking on Confirm at the bottom of the page.